Ok, you’ve passed your Open Water Course and now you’re a certified scuba diver. Yay! Okay. High five. 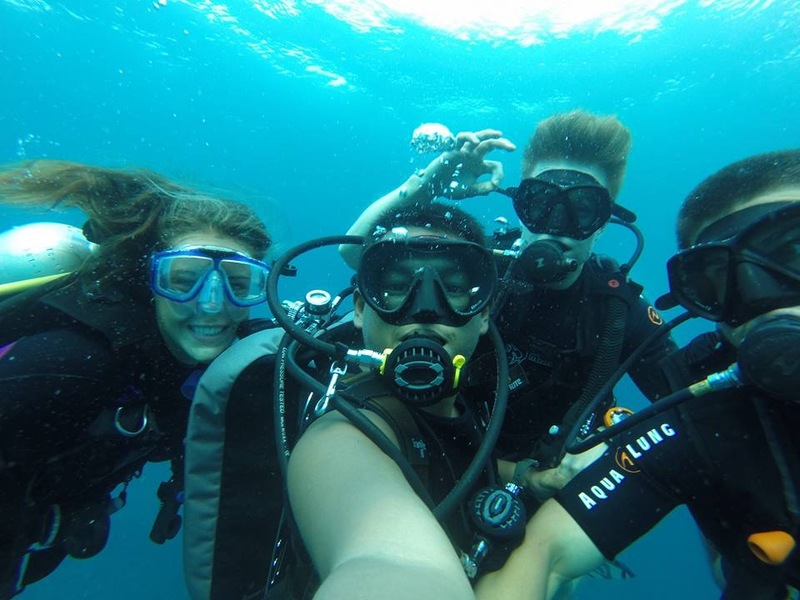 But as we all know, scuba diving can be quite addicting! You start to ponder how you can take yourself to the next level… Do you take the next course, log some more dives, invest a little bit on more scuba diving equipment? If you feel that you’ve gotten your buoyancy on point, you’ve already purchased the preliminary wetsuit, mask and fins (have to be in matching colour, OBVI), a dive computer and your own tank (no?) – you still feel something is missing…Of course! Now you need to get something to take photos of your underwater adventures so that you can show all your friends what you’ve been up to (and how damn good you look while doing so)! Gotta keep those Instagram likes a-flowing with hashtags like #scubadiving #findyourbluemarlin #oceanlife #turtle #bluemarlindive #innermermaid #YOLO… You get the picture. 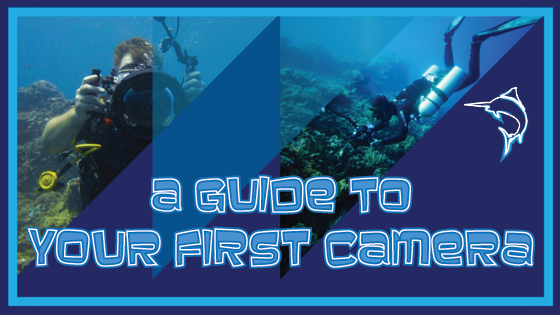 If you are looking to invest in some underwater camera equipment, here is Blue Marlin’s “Guide to Purchasing Your First Underwater Camera Set Up”. Action cameras (eg. GoPro, Xiaomi, etc) are big at the moment and for good reason. They are easy to travel with due to their small size, you can use them for other activities and they come at fairly “compact” prices as well. If you choose to go with one of these guys, we really recommend getting those little extra accessories. A floating handle is imperative just in case you drop your camera (although this instructor isn’t complaining about adding to my collection of 4 GoPros I’ve found while diving…) You’ll also want to arm yourself with a red filter or extra light in order to bring some of the colours back into the picture from the loss of light at depth. 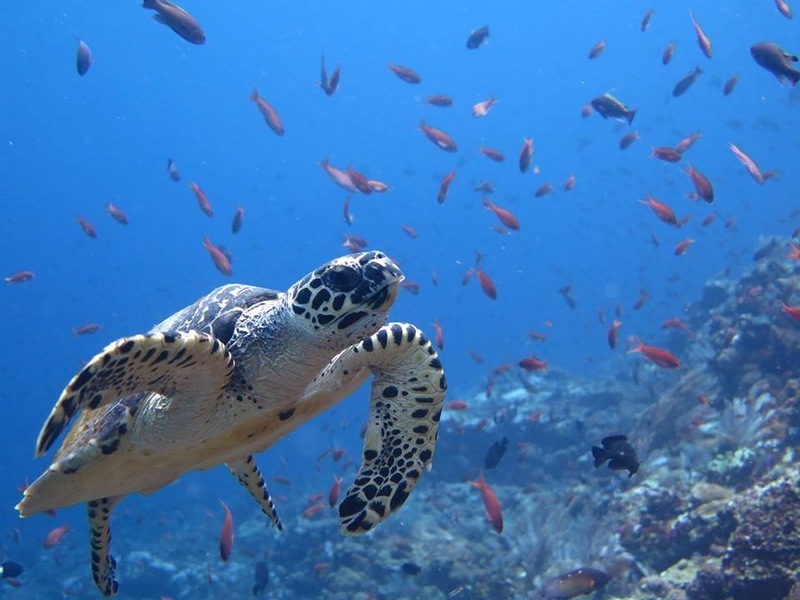 It’s also important to remember that, although these cameras are quite user-friendly, they still need to be treated with the care of any underwater camera. Make sure you grease your o-rings and take care to double check that the case is sealed properly. The number of flooded action cameras I’ve seen is incredibly high. For the more advanced photographers, these cameras may seem more limiting than a normal camera as there is no option to change ISO or shutter speed. However, it is very possible to get beautiful photos with them. It may be that you already have a compact camera and just need an underwater housing. Many camera brands such as Canon, Nikon, Sony and Olympus produce their own quality housings but reputed third party sources such as like Ikelite, Nauticam, Sea and Sea, Meikon, etc are just as good, if not more refined. Using your regular camera gives you greater control underwater like the ability to adjust white balance, aperture, shutter speed, ISO, etc.. Some compact cameras also feature a built-in “underwater mode” to assist with your underwater shooting. The larger displays may help to frame your shots better. These cameras are slightly more expensive, but do allow for fine tuning and in result, a better picture. Canon 550D on ikelite housing. Varying Lens. Even more important than the setup you choose to purchase is the additional diver training to help you refine your skills. I highly reccomend taking your Peak Performance Buoyancy Specialty along with your Underwater Photography specialty. One thing I cannot repeat enough is that the very first thing you must learn when you want to start underwater photography is not framing, lighting, or shutter speed but buoyancy, buoyancy, and buoyancy. You want to make sure not to crash land into a nice, beautiful coral garden as you try to take a photo of a clownfish! 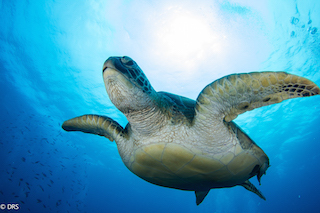 It’s also important to remember to continue to apply safe diving practices such as staying close to your group and not chasing a swimming turtle. 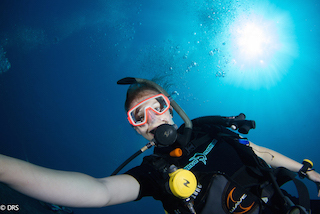 As we’ve mentioned before,GoPro Fever is a very real affliction that makes otherwise great divers forget everything they’ve learned about buoyancy and etiquette. Multitasking is not easy and you want to make sure that you and your buddy are safe. The same goes for preserving the natural beauty of the environment itself. 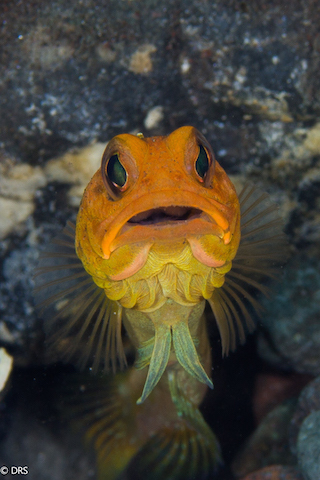 Underwater photography can open up an entirely new facet of diving that will only serve to fuel your addiction. Stay tuned for my next guest blog when I cover more about underwater lights and strobe, equipment care and photo tricks! Underwater Photographer and Underwater Photography Instructor.